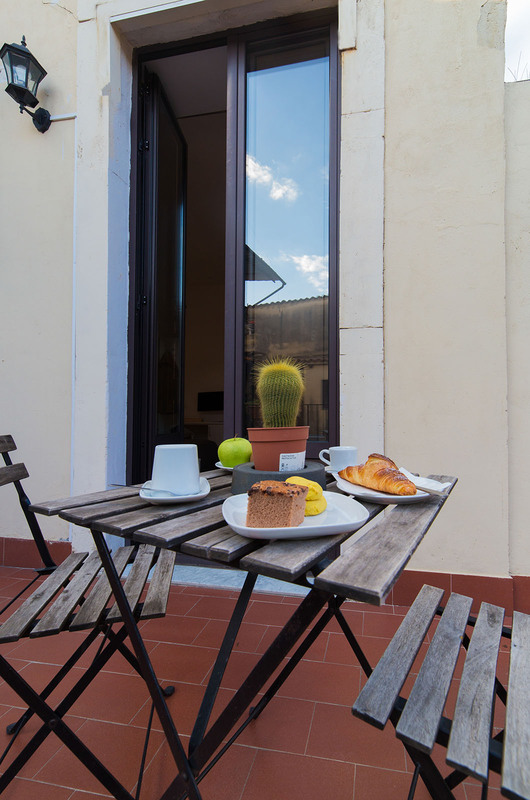 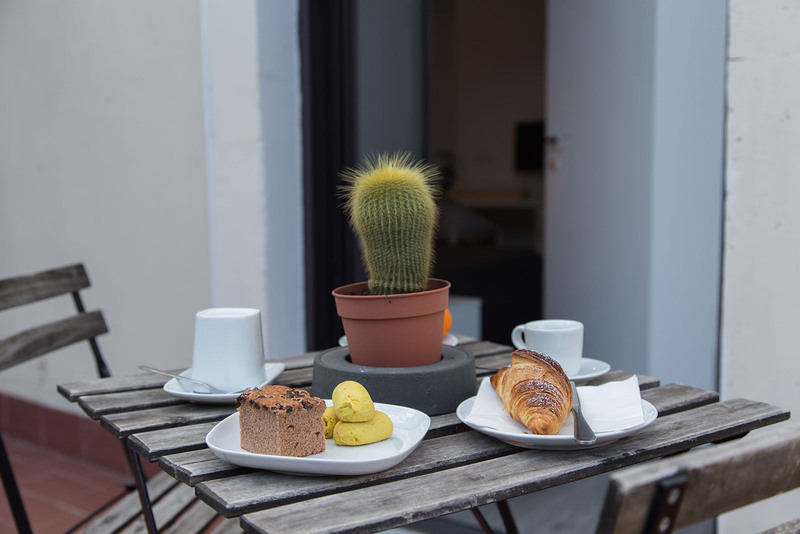 Released after another important and successful property, Suite Inn Catania, and after a long Northern Europe tour made by the owners Flavia and Christian, which has been important to define its style. 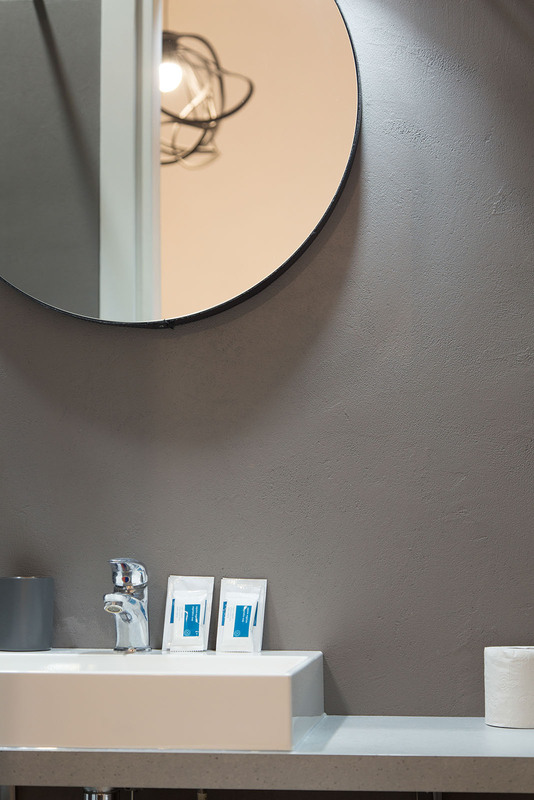 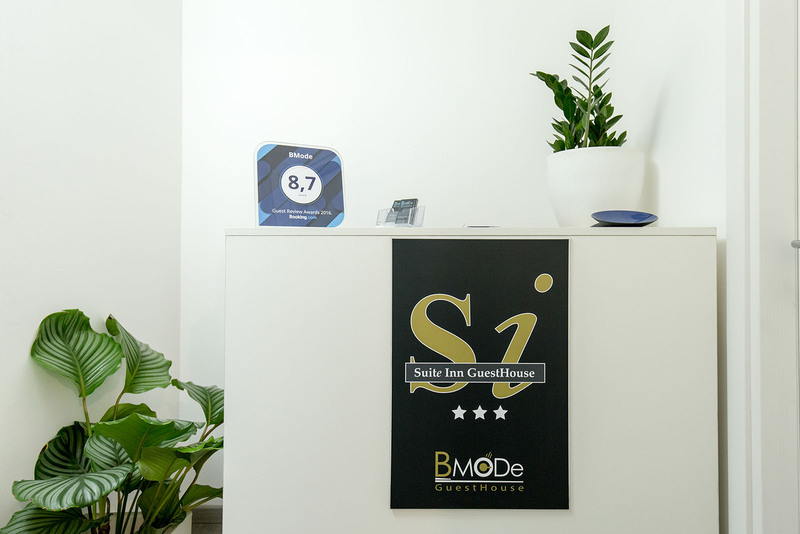 BMoDe Modern Design by Suite Inn, refined and informal, the other side of art, side B. 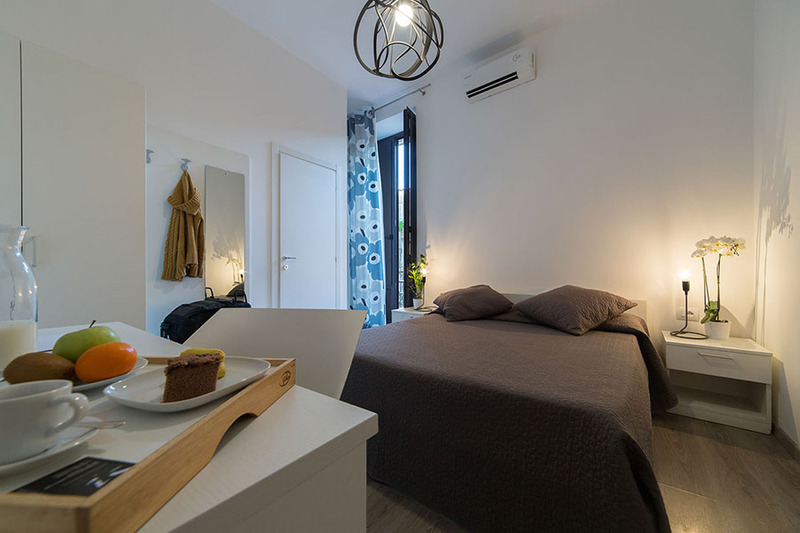 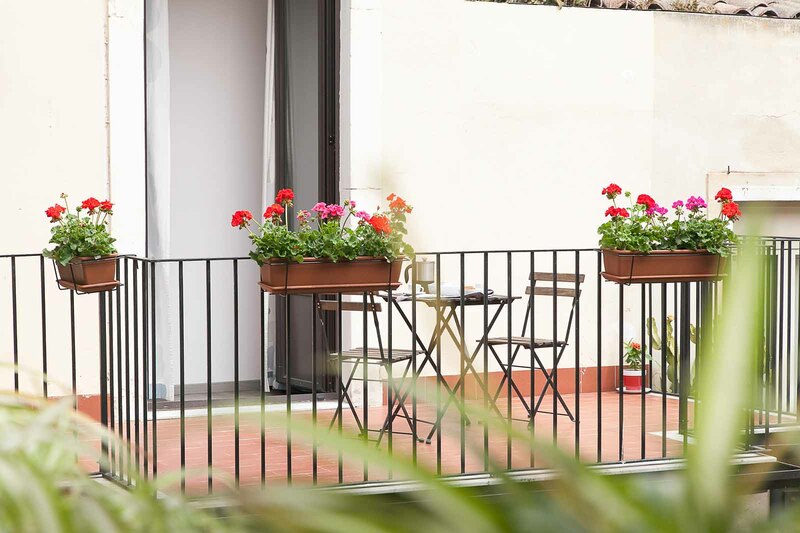 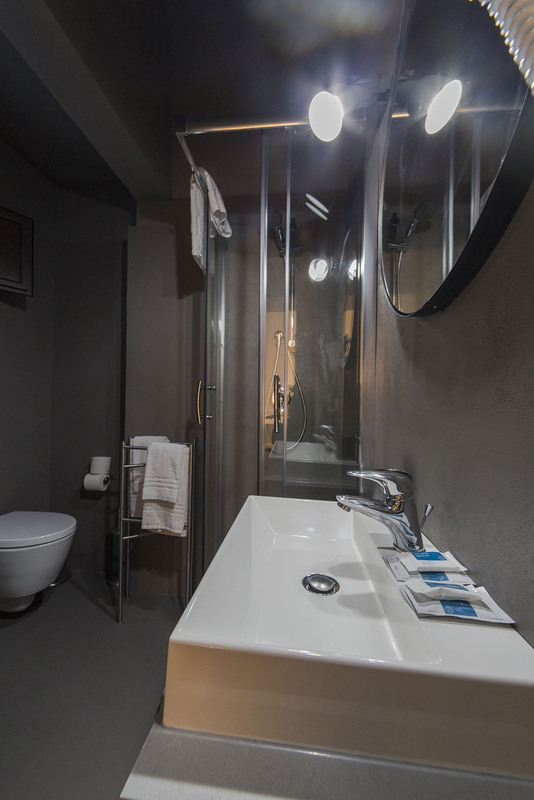 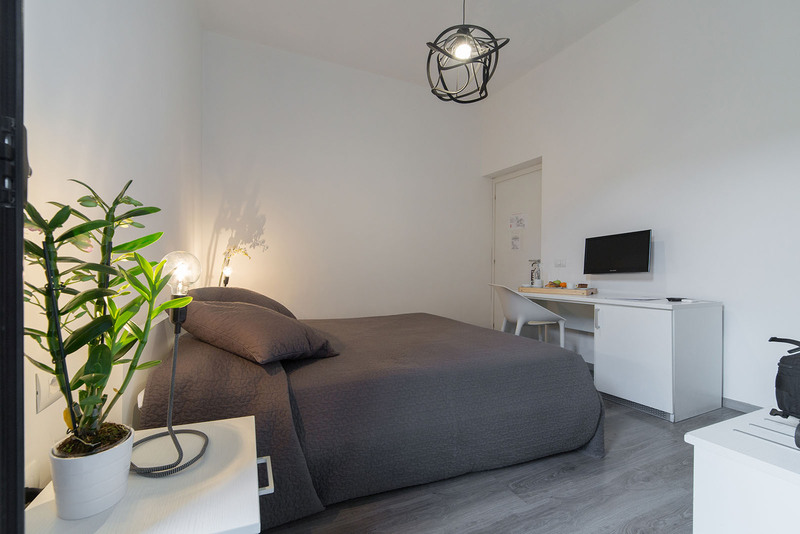 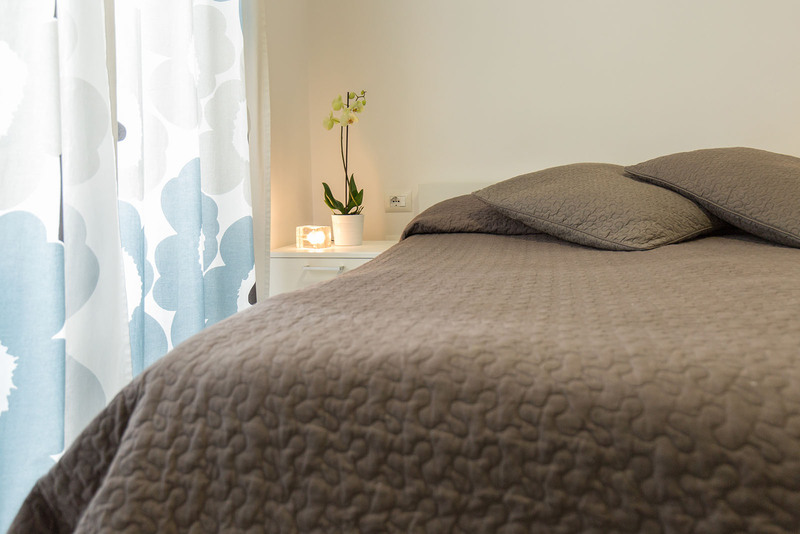 Located inside and ancient building of the XVIII Century, Bed and Breakfast Bmode is composed by three rooms: 2 doubles named Block and Cord and one triple named Random. 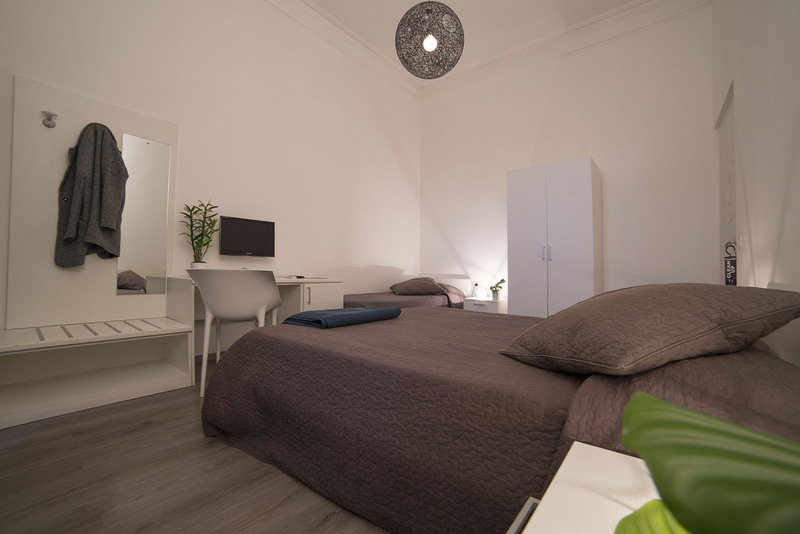 Our property is situated inside Palazzo Tedeschi Paternò-Castello, big ancient building of the XVIII Century in Via Vittorio Emanuele II, one of the main streets inside the historic centre of Catania. 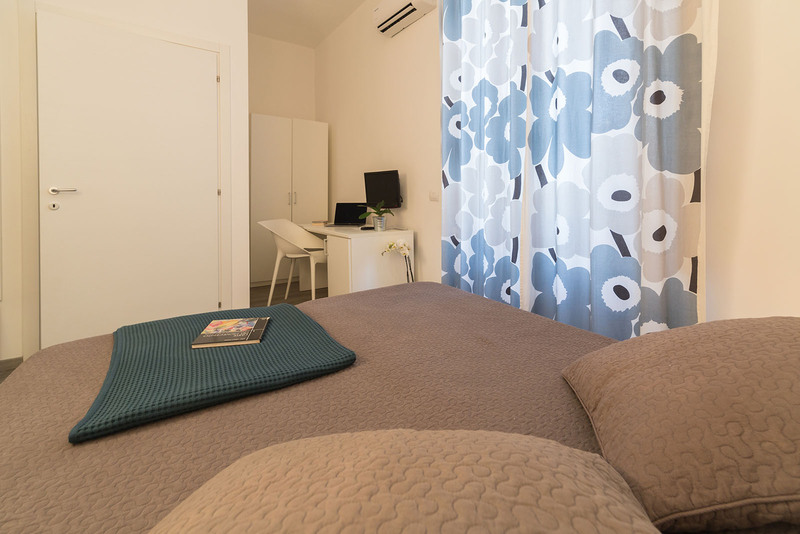 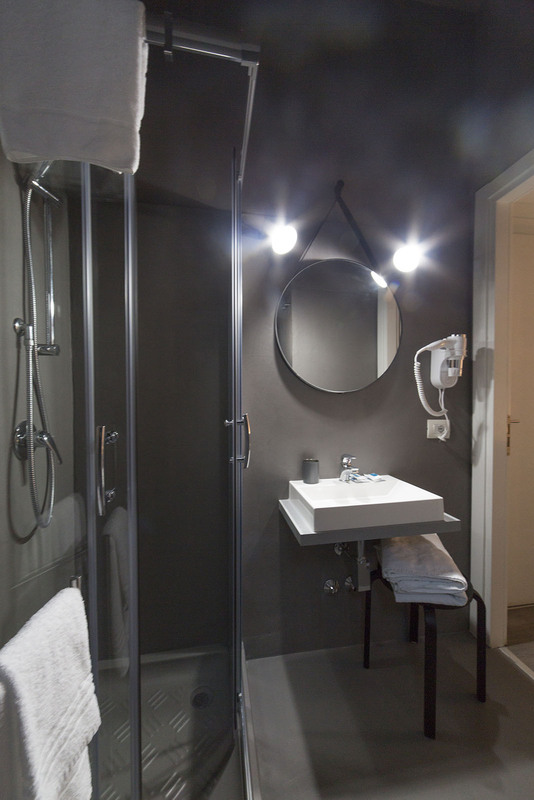 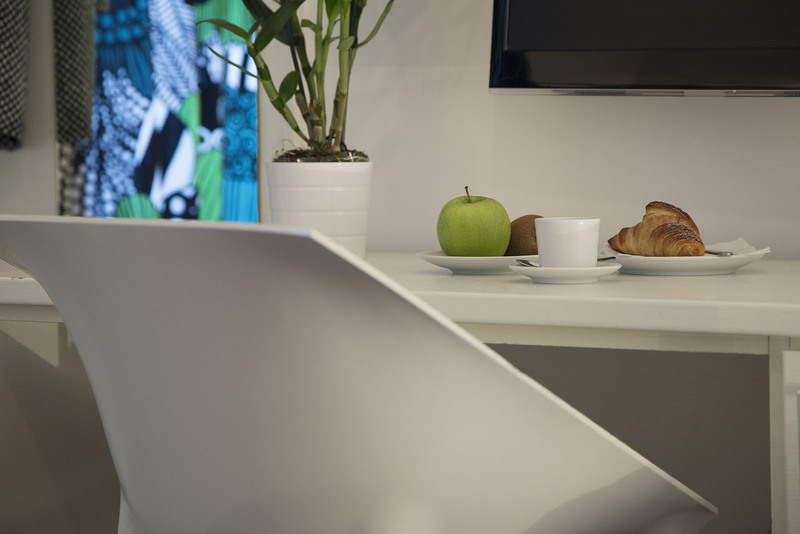 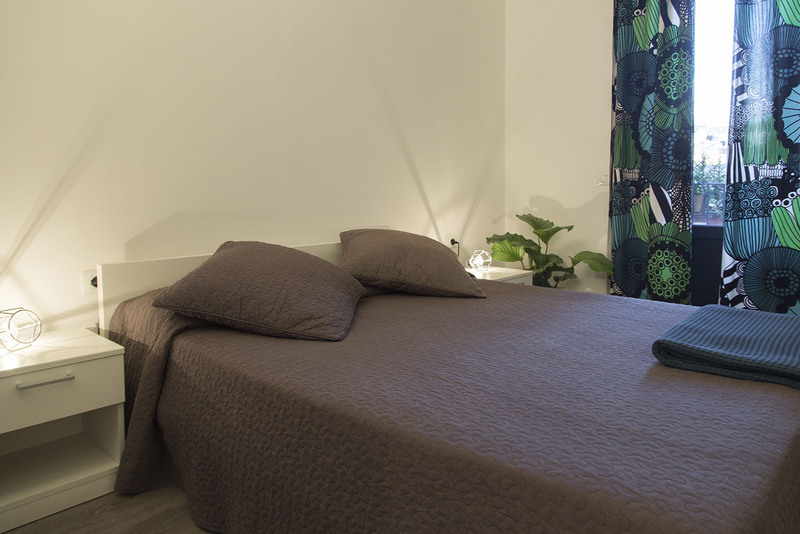 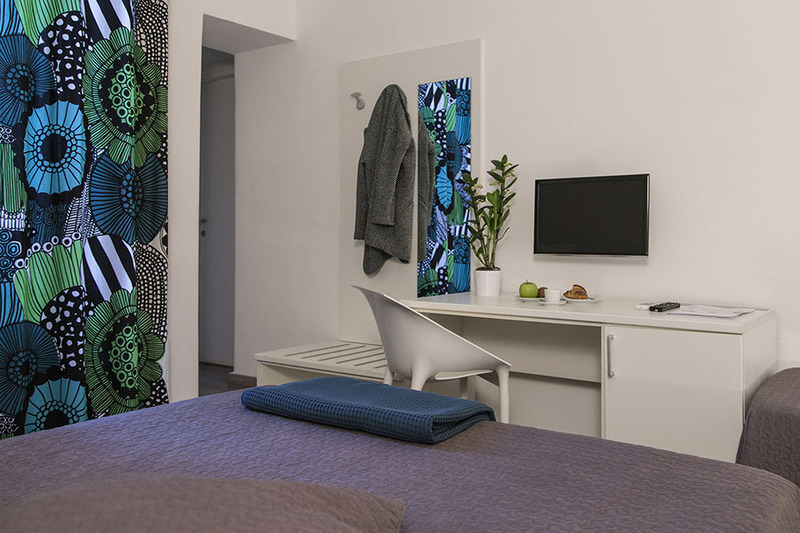 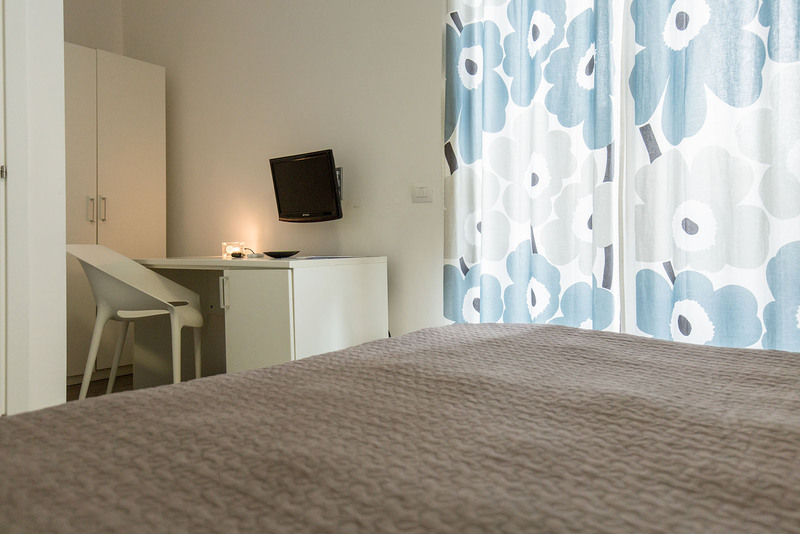 Random is a triple room with contemporary and sophisticated style. 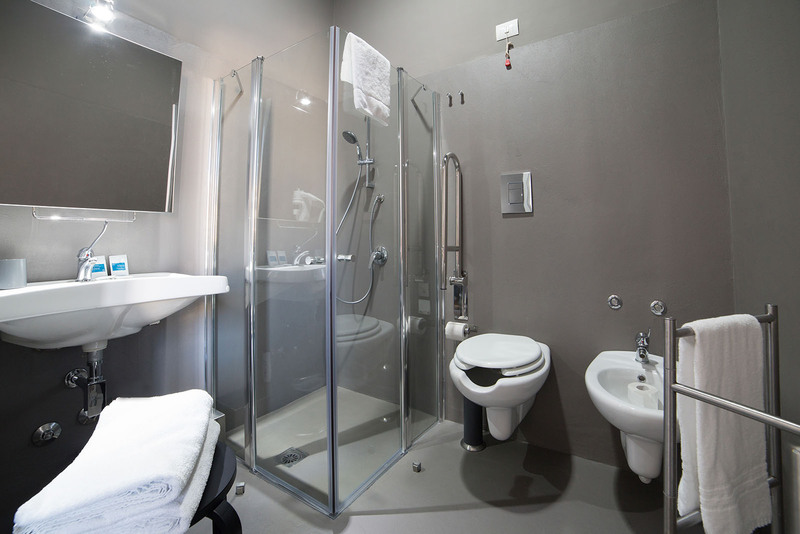 Bright, quiet and with private bathroom. 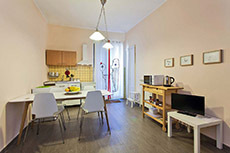 Because its large space, it is possible to comfortably accommodate three or even four people. 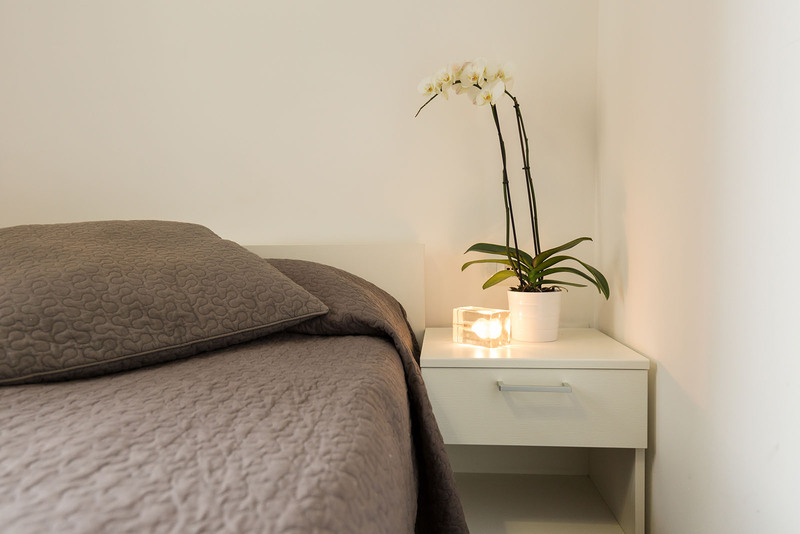 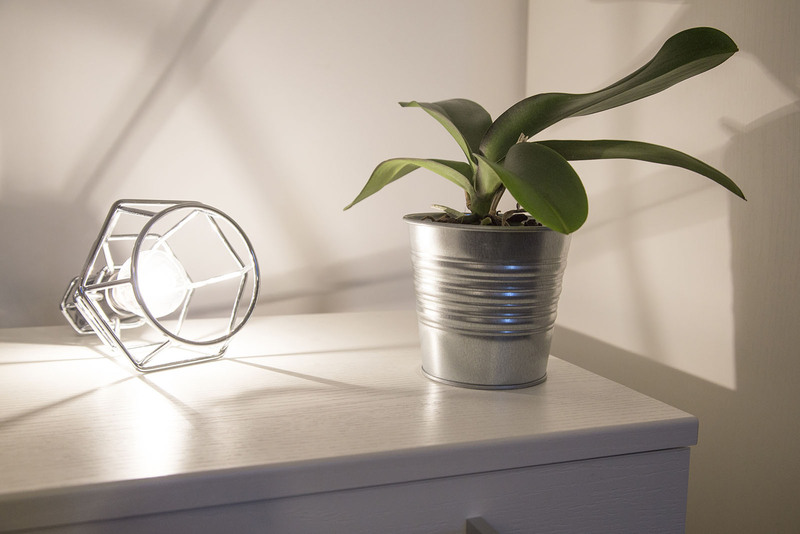 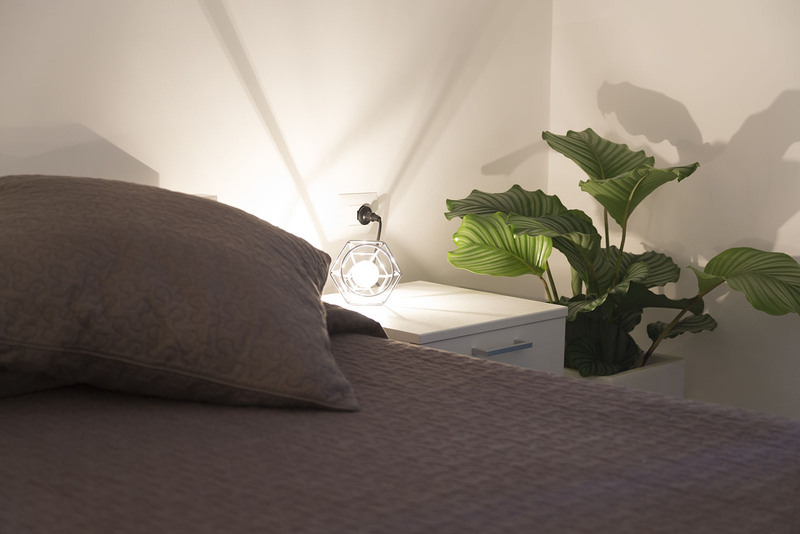 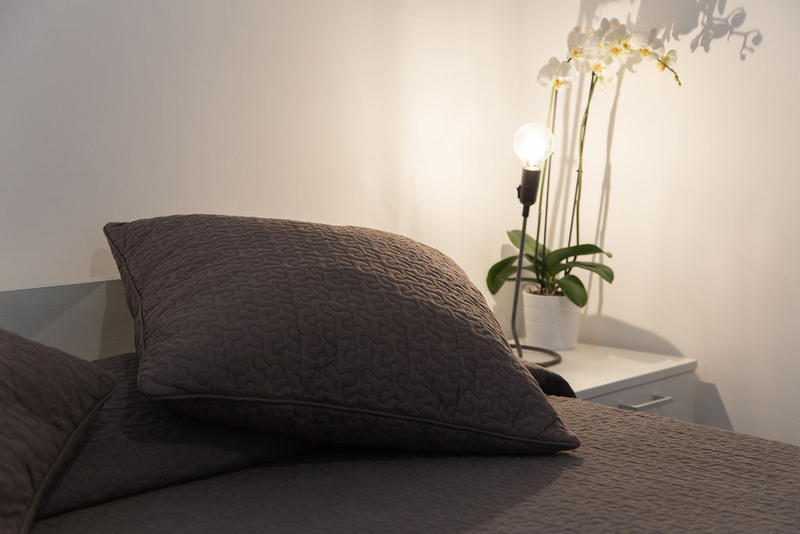 The design of this room will surprise you: starting from the bedside lamp that gives its name to the room. 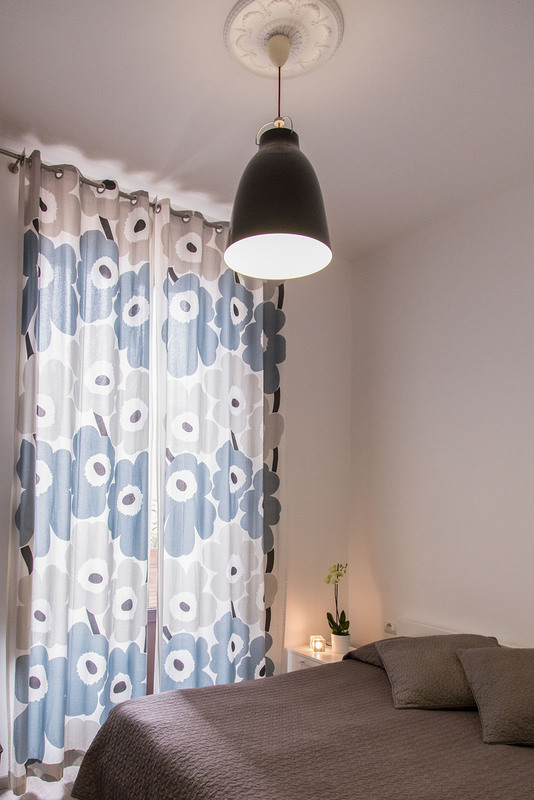 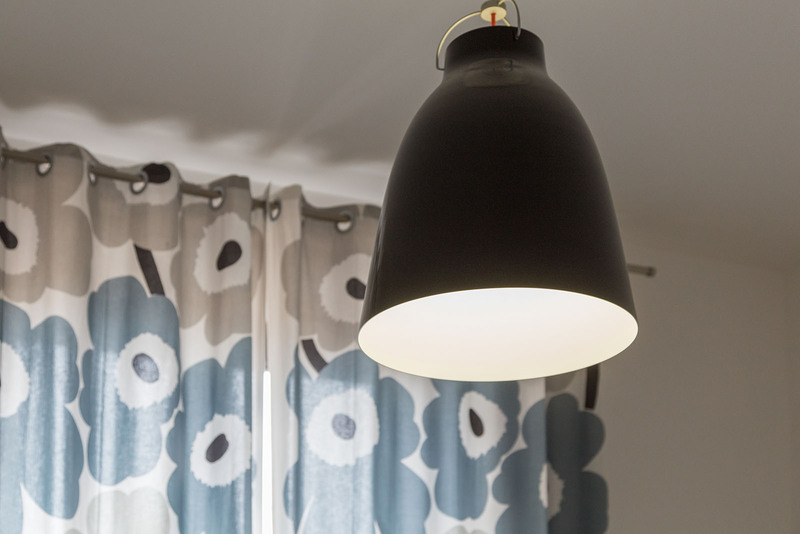 High attention to details: the "Bloom" pendant lamp, the beautiful “Marimekko” curtains, nothing is left to chance. 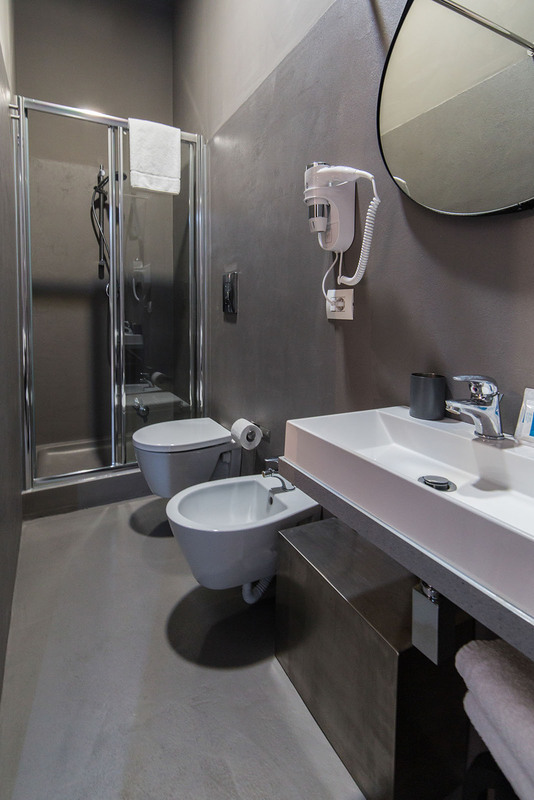 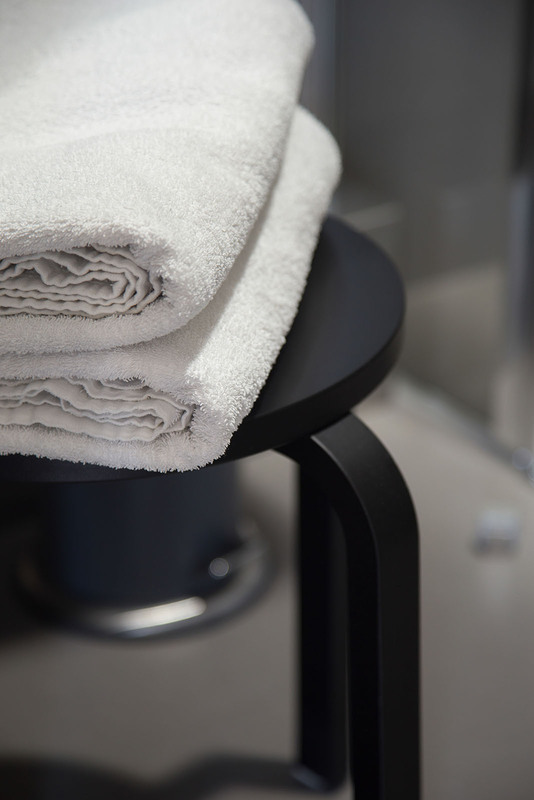 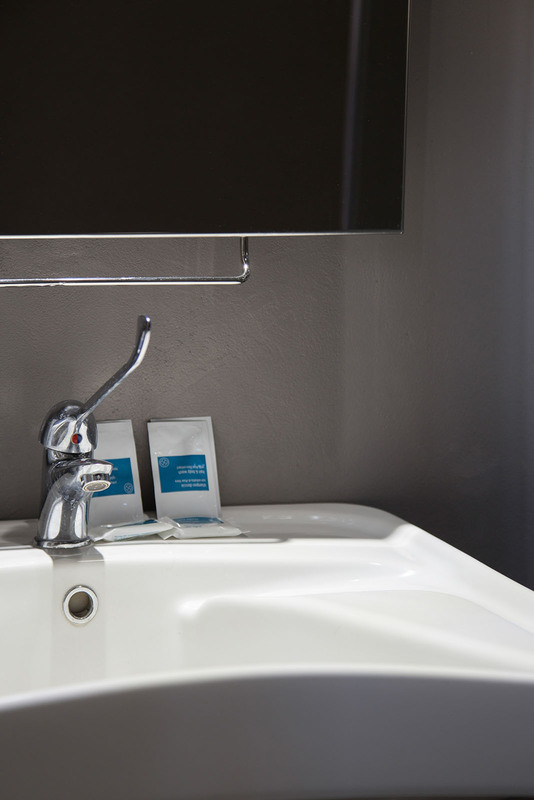 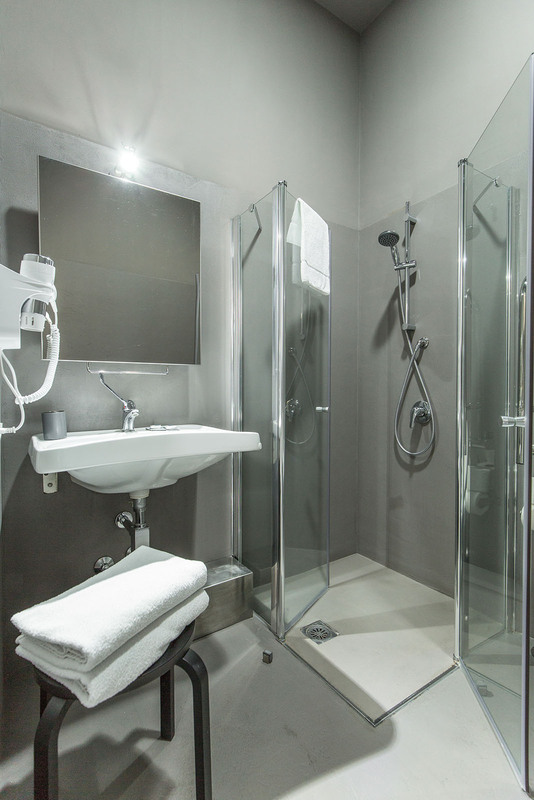 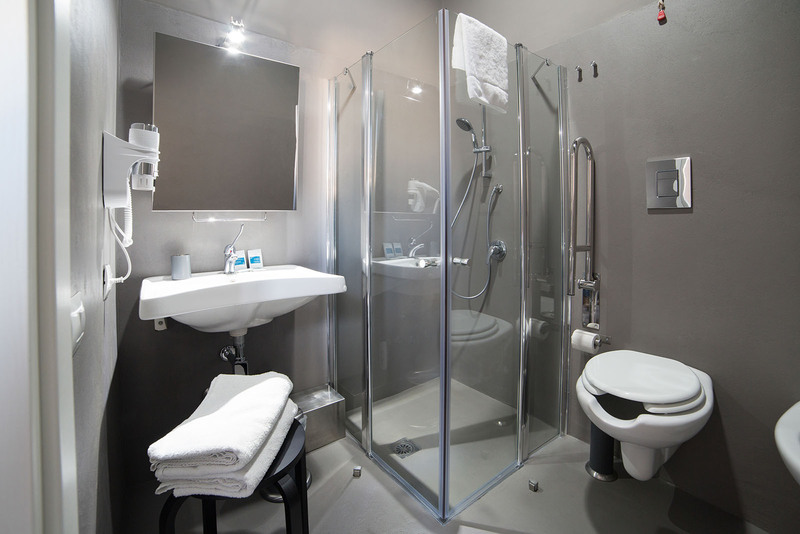 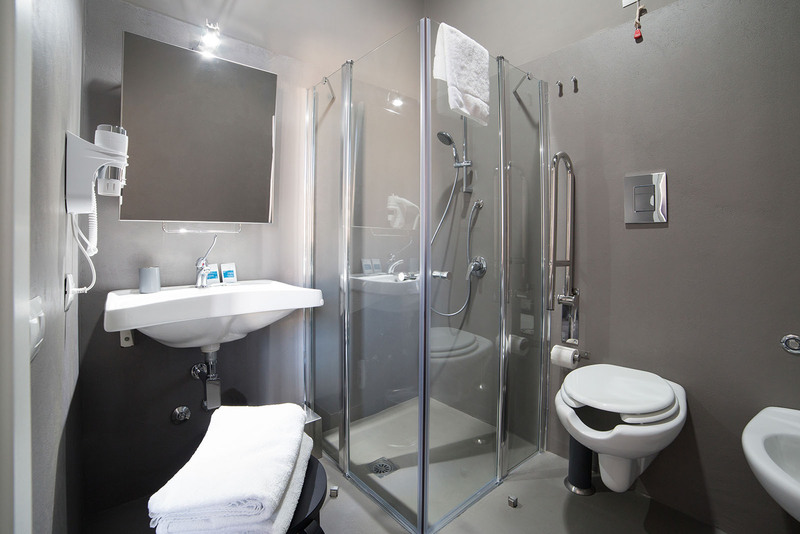 Like the other rooms it’s bright, spacious and with en suite bathroom for a maximum comfort. 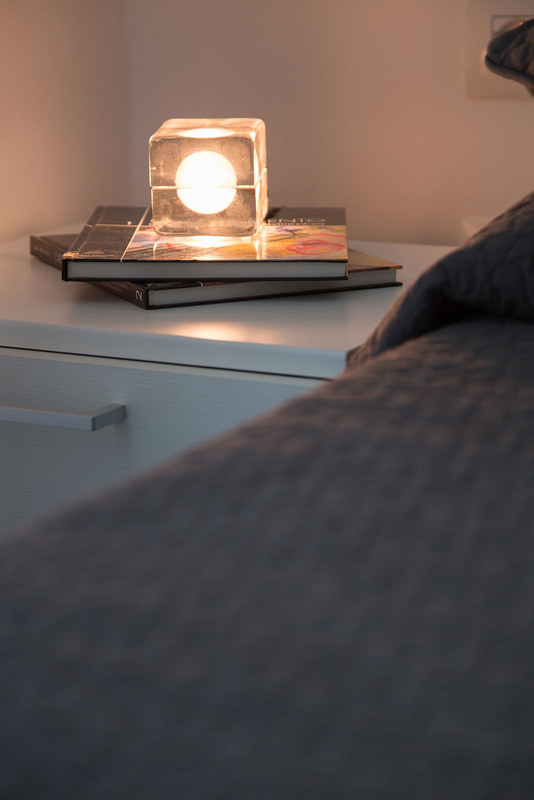 The bedside lamp gives its name to this room. 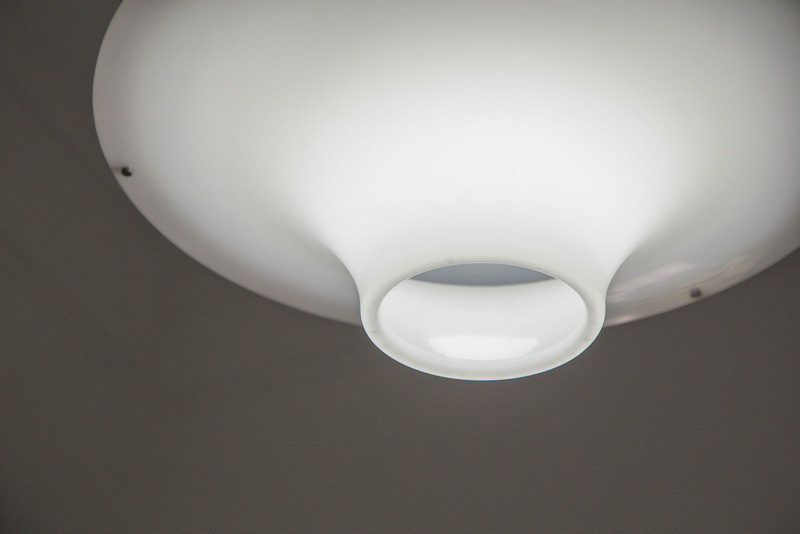 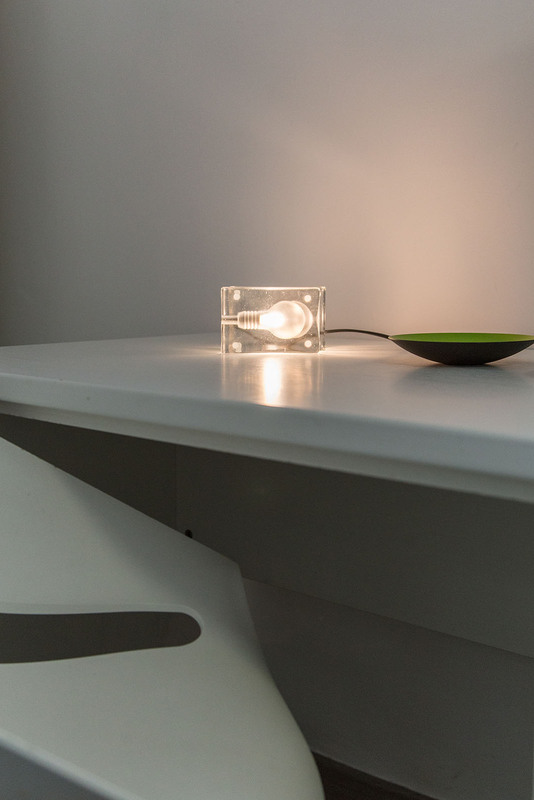 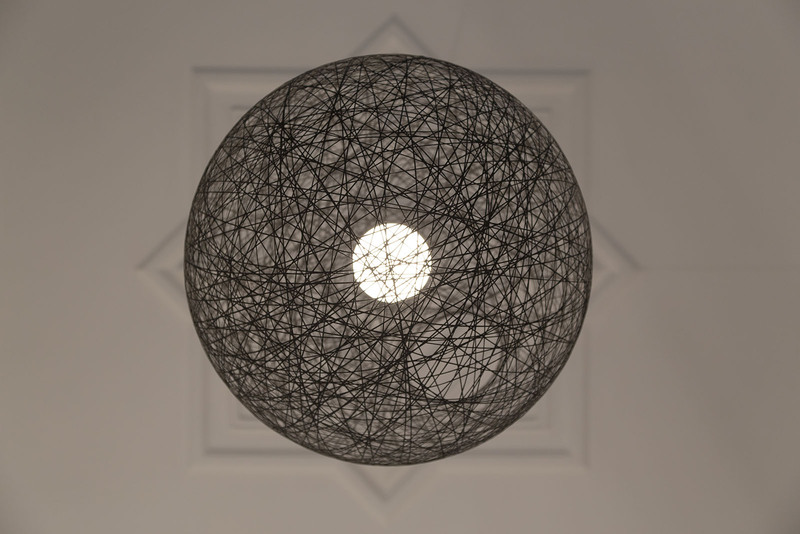 "Block", a warm light bulb built into what seems to be an ice cube, which has been attracted by design awards since 1996. 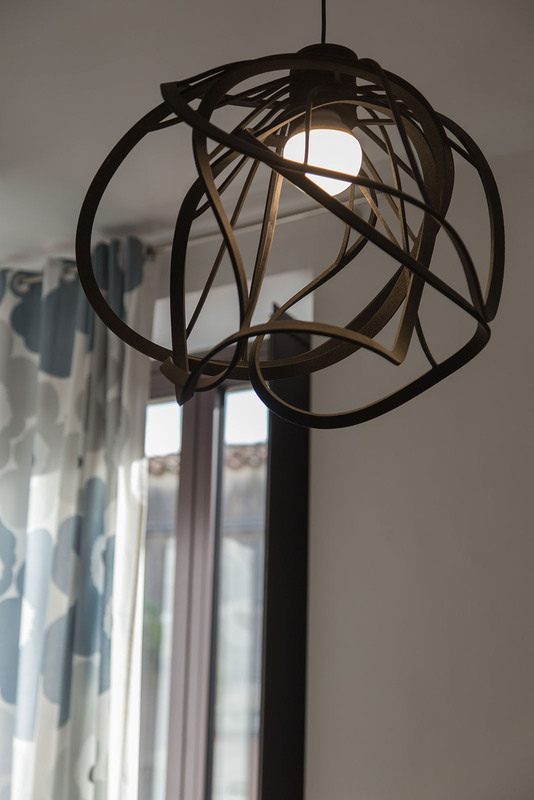 We can define the "BMoDe style" through its curtains "Marimekko", the “Kartell” chair designed by Philippe Stark and the "Caravaggio" suspension lamp by designer Cecilie Manz.